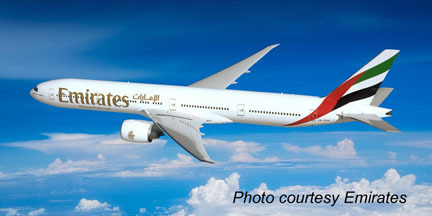 Emirates, the world’s largest international air carrier, has launched its non-stop service between New York’s JFK airport and Milan, Italy (MXP), introducing the airline’s only non-stop service from the U.S. to Europe. Since April, Emirates’ passengers have been able to book round-trip flights directly from JFK to MXP, or a stopover in Milan on the way to or from Dubai (DXB). Those flights, which commenced October 1, are unusual for a number of reasons. First among those reasons are the "ports of call." Arrangements that allow airlines to carry revenue traffic (in other words, paying passengers) between foreign countries other than the airline’s own country are uncommon, largely due to the complexities of international politics and the need to obtain agreements from all the countries involved. “We are confident that our flights will further drive Italian and U.S. economic growth, trade and job creation,’’ Tim Clark, President of Emirates, said in the April news release announcing the service. For passengers traveling from JFK to Dubai, the stopover provides the opportunity to cut a lengthy flight in half. While the JFK-DXB non-stop takes just short of 14 hours, the flight from JFK to Milan is around 8:15, while the Milan-Dubai leg is about 6:10. In addition to breaking up a long flight, a stopover in Milan provides the opportunity to visit yet another destination. 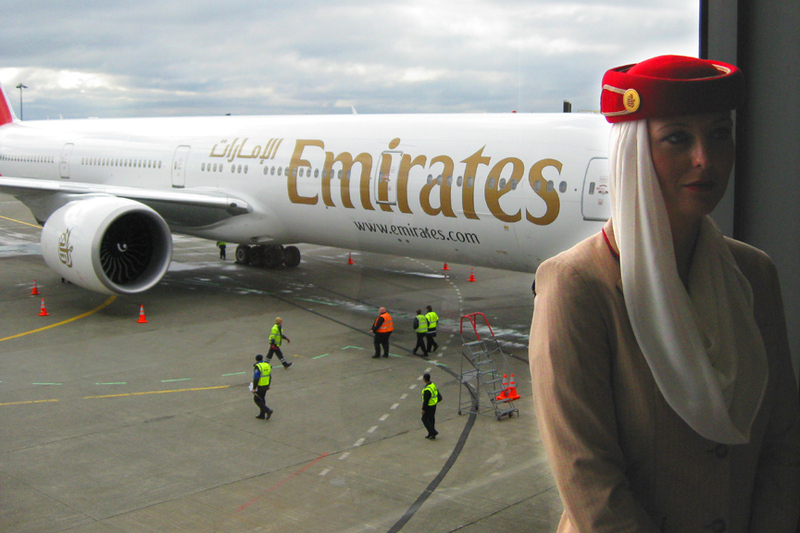 Passengers will fly in Emirates' state-of-the-art Boeing 777-300ER, offering eight private suites in First Class, which makes it the only airline to offer direct service from JFK to MXP with First Class service. The aircraft also offers 42 flatbed seats in Business Class, and 310 seats in Economy Class. 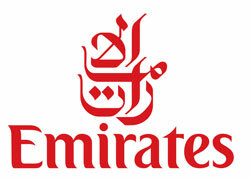 Even in economy class, Emirates offers more than many other carriers. According to SeatGuru.com, the 310 Economy Class seats have a pitch (space from back of the seat to the seat in front) of 33” to 34”. By comparison, the American Airlines 777-300ER I recently flew has a pitch of 31” in standard Economy Class; one has to upgrade to “Main Cabin Extra” to get seats with a 35” to 37” pitch. “Travelers will enjoy gourmet chef-prepared meals, passengers can earn and redeem Skywards miles, and the aircraft will be equipped with Emirates’ award-winning ice system, offering over 1,400 channels of in-flight entertainment,” the airline’s PR materials said. The aircraft is equipped with Emirates’ award-winning in-flight entertainment system, offering over 1,400 channels of in-flight entertainment, and passengers will also be offered gourmet chef-prepared meals. Fares are competitive. A round-trip leaving JFK on Monday, Jan. 6 (to avoid paying a premium for traveling over the holidays) and returning Monday, Jan, 13, an Emirates economy ticket was offered on Oct. 1, the day of this posting, for $963.30. Leave a day later, on Tuesday, Jan. 7, and the fare drops to $590.30. Business class tickets for both date pairs was $4,040.30. Tickets on American Airlines, which also offers non-stops from JFK to MXP on the same dates, would cost $743.00 for economy ticket on Jan. 6/13, but $2,375.00 for Jan.7/13. Business class passage was quoted at $5,115 for the first date pair, and $5,175 for the second. However, American operates a 767-300 on the route, and economy seats have a 30” to 31” pitch. Main Cabin Extra seating, with the extra legroom it brings, was not available on our example dates. Plus, there is Emirates service, which the airline’s PR materials describe as “impeccable.” While I haven’t experienced the carrier’s in-flight service, I can confirm that the service they provided on the ground to celebrate their first flight into Seattle on March 1, 2012 was indeed delightful. I can’t imagine it would offer anything less at 37,000 feet.